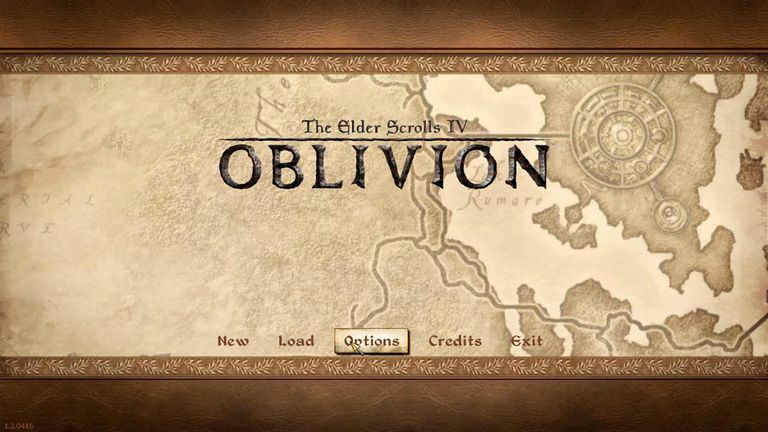 Use this guide to cure vampirism in the PC version of "Oblivion"
“The Elder Scrolls IV: Oblivion” is an enormous sprawling game that contains a few surprises for players. For example, you may be playing along and discover you are turning into a vampire. Vampirism is a condition — much like a disease — that you might contract as you play the game. You become infected, or contract "porphyric hemophilia" in the parlance of this underworldly virtual game, while battling vampires and letting them hit you. You can also contract vampirism intentionally if you take the Dark Brotherhood quest and request to become a vampire. Being a vampire has many benefits, as well as potential drawbacks, for some gamers. While vampires have some really cool abilities, they have to do all of their travel at night, a requirement many gamers don't like. If you want to rid yourself of the condition you may be able to do it with a potion. Use the additem code to add a potion to your inventory, drink it, and be cured. This doesn't always work, but when it doesn't, you can use a set of console commands to remove the effects of vampirism completely. Look in your inventory for the new potion, drink it, and your vampire days are over. Sometimes glitches in the game prevent the potion from removing vampirism. If drinking the potion does not cure your vampirism, use this set of commands to remove vampirism. If you want to learn more about codes for this game, the index of Oblivion PC Give Item Codes​ covers codes for alchemy, armor, gem codes and more, along with instructions for how to enter them.